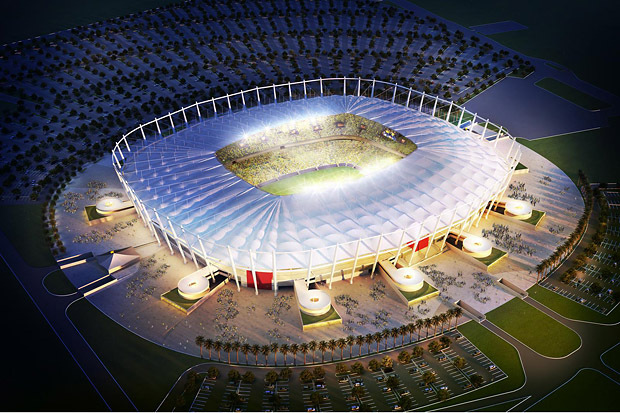 At the start of 2012, 10 of the 12 host venues for the 2014 World Cup had applied for Leadership in Energy and Environmental Design (LEED) status. A world-wide recognition promoted by a US-based Green Building Council. That means installation of the Building Integrated Photo Voltaic (BIPV) on the roofs of the stadiums. The ten venues are Belo Horizonte, Brasília, Cuiabá, Curitiba, Fortaleza, Manaus, Natal, Recife, Rio de Janeiro and Salvador. The most famous of all will be Mané Garrincha stadium in the capital Brasília, which organisers hope will become the first football stadium in the world to achieve LEED Platinum status, the highest level attainable. All photos are belong to worldcup2014directory. Visit them for more info on other stadiums. Industry figures predict that solar panels embedded in roofing could become a standard feature of stadia in the near future as the new wave of building integrated photovoltaics (BIPV) gains credibility in the world of big money sports. 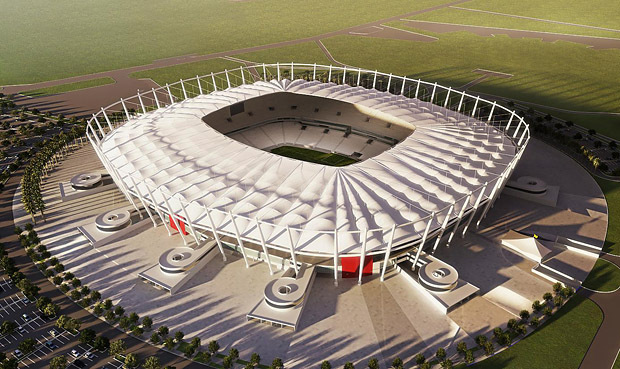 Much attention has been given to Qatar’s plans for state-of-the-art solar stadiums that helped the Gulf state win the right to host the 2022 World Cup. The Brazilian government announced in September 2011 that all 12 tournament stadiums would be expected to achieve a minimum sustainability standard. Renovation works are due for completion in December 2012 and the roof of tensioned canvas will feature an array of PV panels with capacity to generate 2.5 MWp. This is sufficient to generate at least 50% of the stadium’s energy needs during peak periods, while at other times excess energy will be fed into the national grid. Report says that the construction costs could eventually surpass R$900 million (US$486 million), up from the R$688 million ($372 million) official estimate. However, drop in operating and maintenance costs will result in annual savings of around R$7 million ($3.78 million) after completion, and it will provide a legacy for 50 years or more. The revamped Maracanã stadium in Rio is to have a ring of solar panels on its roof. The Estádio Governador Magalhães Pinto will have a roof with up to 1.5 MWp of solar panels. The Pituaçu Stadium in Salvador, which will be one of the training venues, will have a 403kWp solar PV system on its roof. 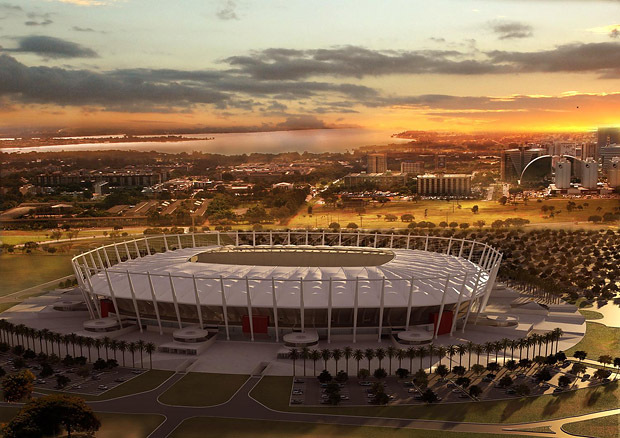 The Pernambuco Arena in Recife will will feature solar heating to supply energy to the changing rooms, toilets and kitchens. Soon, other stadiums will reveal solar energy plans soon, as well. In comparison, in 2009 Taiwan inaugurated the world’s first 100% solar-powered stadium, featuring 8,844 panels which generate 1.14 GWh annually. Surplus energy from ‘Dragon Stadium’ is sold by the Taiwanese government. Can you suggest where can I read more about solar in malaysia? I have a daughter who is in her third yr of engineering...she loves this stuff!! My blog posts are mainly about Renewable Energy and solar PV is of particular interest to me. or you can read about Malaysia's FiT and incentives on Renewable Energy (including solar PV) at SEDA Kalaysia's portal.